Domain Parking gives you an immediate Internet presence. The cost of the Domain Parking service is FREE. We have provided a web-page informing visitors that you have recently registered your domain name and that there will be a future web-site. Domain Parking, Plus Email is a tool that allows you to create 3 e-mail addresses for a registered domain name. The cost of the Email service is $10 per year. Email Forwarding allows you to create 3 e-mail addresses (aliases) for a registered domain name and have them 'forwarded' or redirected to a working e-mail address. 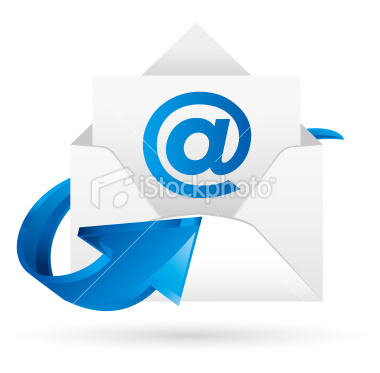 The cost of the Email Forwarding service is $10 per year. Using your own easy to remember domain name, E-mail Forwarding is the perfect way to mask a generic ISP e-mail address or a long, cumbersome address. Create an alias e-mail address firstname@surname.ca for yourself or for all members of your family and specify to what working e-mail address you want each alias e-mail address to be forwarded to. If your working e-mail account changes, you simply need to contact us and change the forwarding details without ever having to inform your contacts that your e-mail address has changed! Create e-mail addresses (aliases) info@yourdomain.com or sales@yourdomain.net and specify to what working e-mail address you want each alias e-mail address to be forwarded to. If your working e-mail account changes, you simply need to change the forwarding details without ever having to inform your contacts that your e-mail address has changed! Domain Forwarding allows you to select an existing web page to forward all domain traffic to. 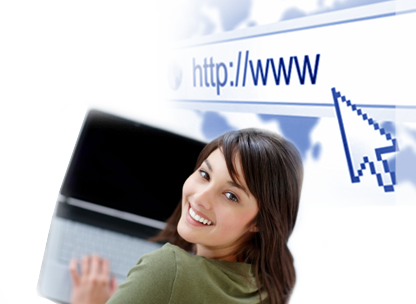 Simply provide us with the URL (web address) you wish traffic to be transferred to and we'll do the rest! The cost of the Domain Forwarding service is $10 per year per domain name. With Domain Forwarding, your domain name is forwarded to an existing website and a visitor's browser displays the existing website's URL in the address bar. Forwarding is a great way to consolidate traffic to one website. When someone types www.abc.org or www.efg.info into the address bar of their Internet browser, they get directed to www.xyz.biz and they see "http://www.xyz.biz" in their browser's address bar. Domain Forwarding + Cloaking is a variation of Domain Forwarding. Cloaking hides the destination URL, while displaying the content of the site being forwarded to. The cost of the Domain Forwarding + Cloaking service is $15 per year. With Domain Forwarding + Cloaking, your domain name is forwarded to an existing website and a visitor's browser displays your domain name in the address bar rather than the existing website's URL. Cloaking is perfect for those who have a long and difficult-to-remember web-address or for those who want to show they have specific websites for each product. When someone types www.abc.info or www.efg.net into the address bar of their Internet browser, they get directed to www.myisp.com/xyz/ (i.e. they see the content of the website) but they see "http://www.abc.info" and "http://www.efg.net" in their browser's address bar.